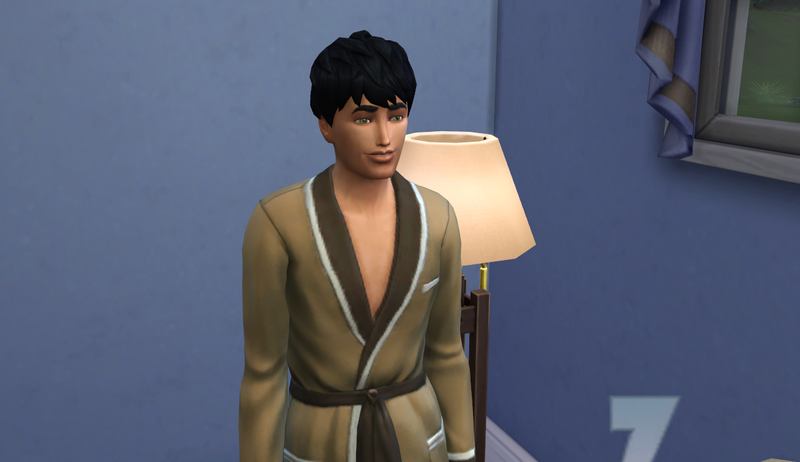 The boys play chess, Maggie’s ghost visits, and Adriel becomes an elder. It took a while following Maggie’s death for the family to get back on their feet. Hiro took it the best. 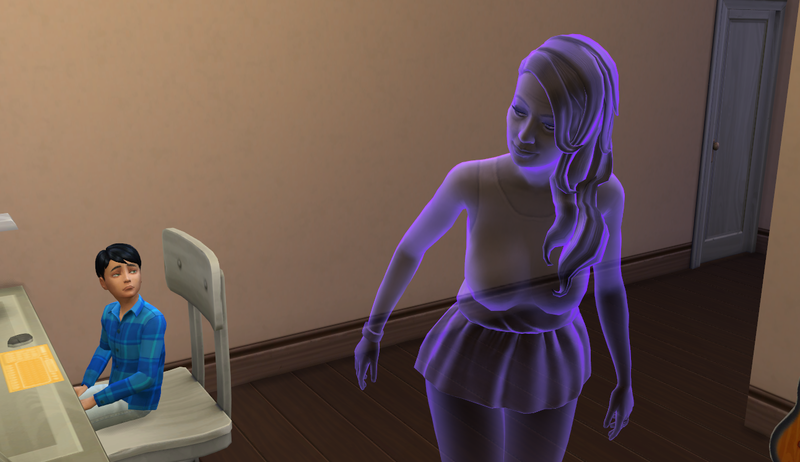 I suppose he wasn’t as close to her as the rest of the family was. 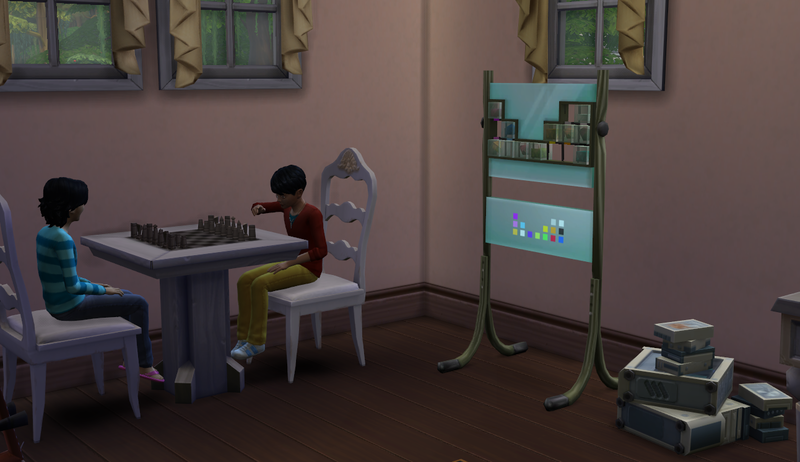 Moving forward, Tachi and Hiro have spent a lot of time playing chess together. They’re both pretty keen on going for their Whiz Kid aspirations. Tachi got to level two first but Hiro wasn’t too far behind. The office is one of two focused rooms we have right now. I’ve since moved the elements display you see below into the dining room temporarily so the kids can do their homework in a focused environment. 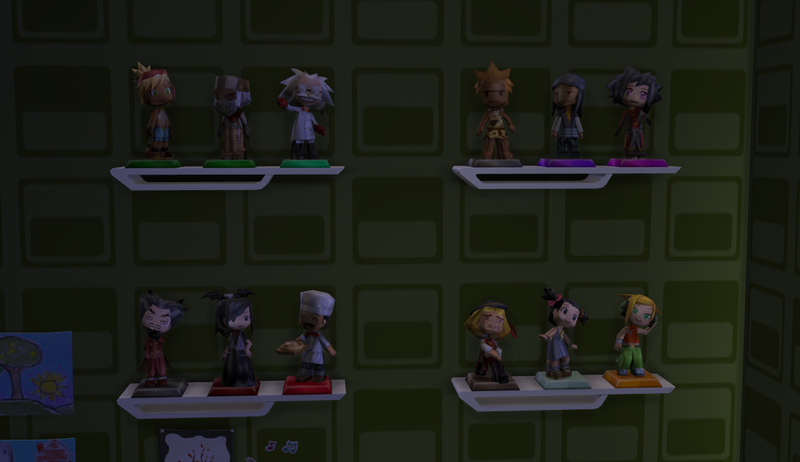 I spent some time redoing the upstairs bedrooms and made this nice little display for their MySims. Cuties! 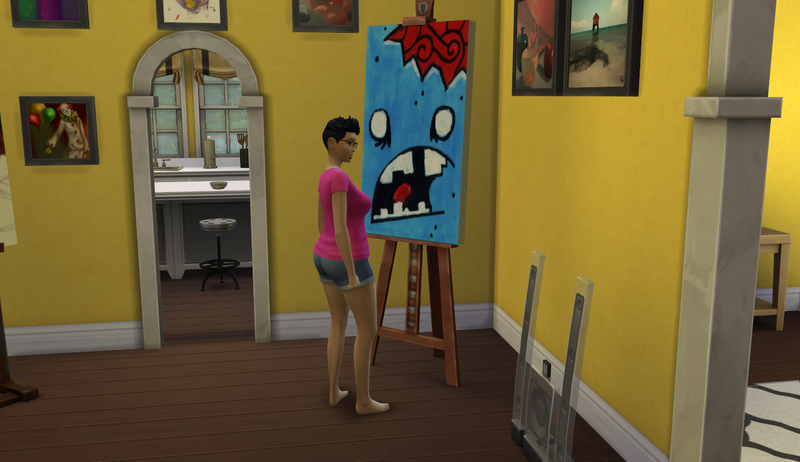 Michiru keeps on painting, naturally. I wish I had figured this out sooner but I didn’t realize that the easels have different qualities to them. This is the least effective. Fail. Still, this zombie is a masterpiece, apparently! Good, she needed two for her aspiration (or job? I don’t remember). Tachi caught his first sight of Grandma Maggie later on in the week. They talked a little but I think he was a little bothered by her presence. 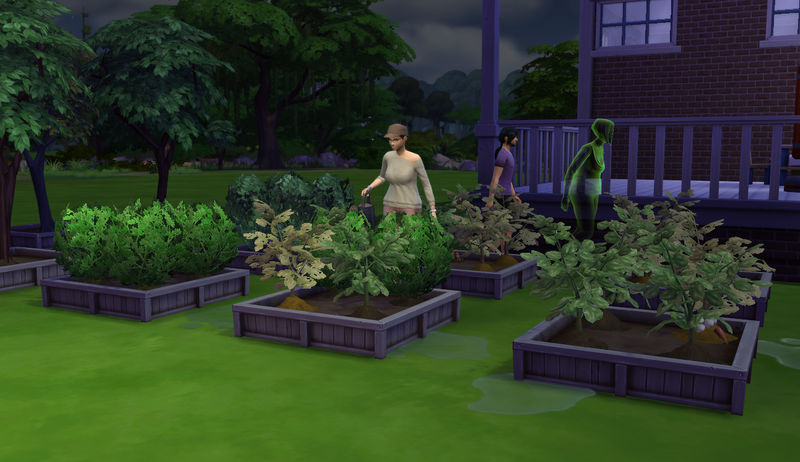 Ah, the lovely garden. They’re keeping up with it and making good money from their harvests. It’s really helping pay the bills. I ended up missing Adriel’s birthday AGAIN. Poor thing. He’s still looking handsome and fit even as an elder. 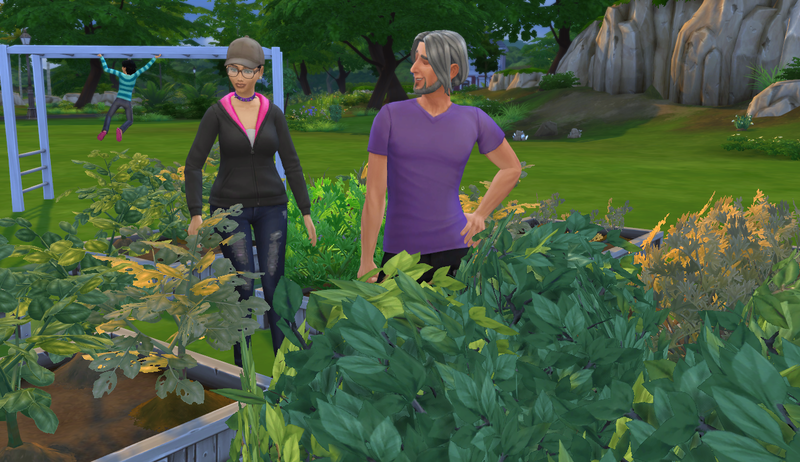 Even though the garden has been a great source of income, I decided to have him get a job in programming so he can try to attain some of his aspiration of Renaissance Sim. 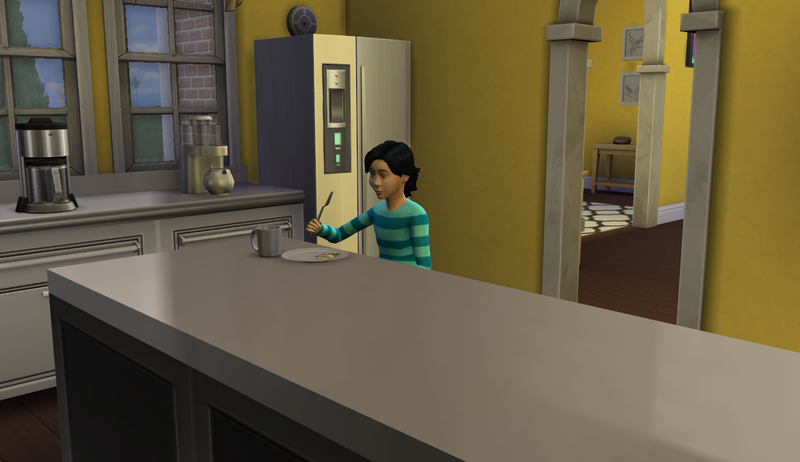 He’s also been trying to help little Hiro with his Whiz Kid one as well. It is so hard to keep them reading long enough to finish a darn book or even sit for an hour. 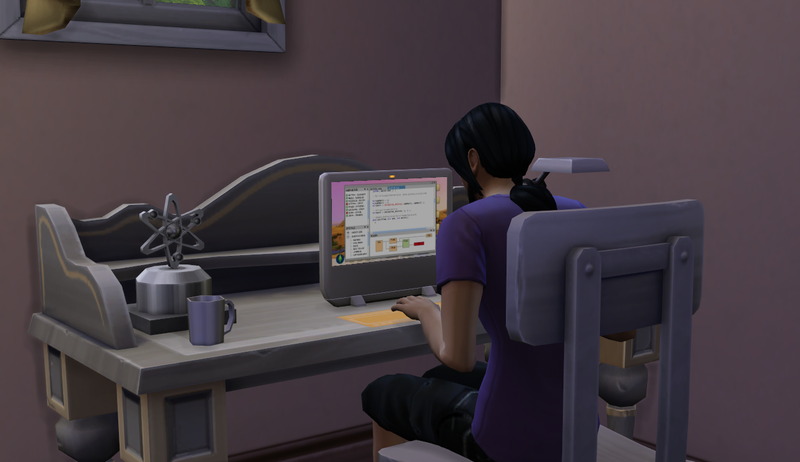 Sims these days just don’t care for reading, do they? Ah, well Hiro did finally reach his first level of Whiz Kid. Yesssss! And look! His eyes are still normal! You can thank that mod, not the patch.